In a time when politics became like the feudalist and absolutist dictatorships before the French Revolution, the Surrealists tried to fight against society’s decline and banality. “Freedom from all conformity” declared both Marcel Duchamp and Man Ray. They were successful in inventing a new aesthetic and their motto was that “provocation can generate salvation” instead of scandal, in a time when it was rare to disobey dictatorship. One word that was heard on the streets of that days increasingly was “revolution”. The exhibited works in the National Portrait Gallery are contrasting against that philosophy and artistic spirit, as they exhibit photographs that flatter. They are beautiful and representational portraits of the famous in the arts: Man Ray photographed almost every famous modern artist that we know today; sulptors like Jean Arp and Constantin Brancusi, painters like Georges Braque, Salvador Dali and Picasso, fashion designer Coco Chanel, film makers, writers and performers. Man Ray got very soon in touch with the most important intellectuals of that time, such as Louis Aragon, André Breton, Paul Éluard and Tristan Tzara. 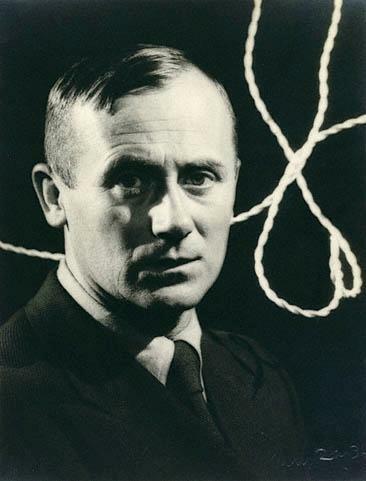 Though not all portraits were conventional: They were representational, but in the very sense of the word, in the extreme: He depicted Miro with a rope in the background, that Max Ernst used in his attempt to hang the Catalan painter. Fascinating about it is, that through Miro’s gaze and the setting of the picture, the viewer is inclined to interpret it as a serious, official representation. The surrealist were too good in their ability, to create legends about themselves. Another portrait shows Yves Tanguy with erected hairs, and Montparnasse artists who weren’t photogenic at all, like Maurice d’Vlaminck. Man Ray’s portraits were subsequently published in Harper’s Bazaar, Time Magazine, Vanity Fair, Vogue and Vu, the french picture magazine that existed just until 1940. Man Ray had a high affinity for young women and he photographed a lot of nudes. Kiki, Meret, Nusch, Natasha, and many others, to whom Juliet would be added in later years. 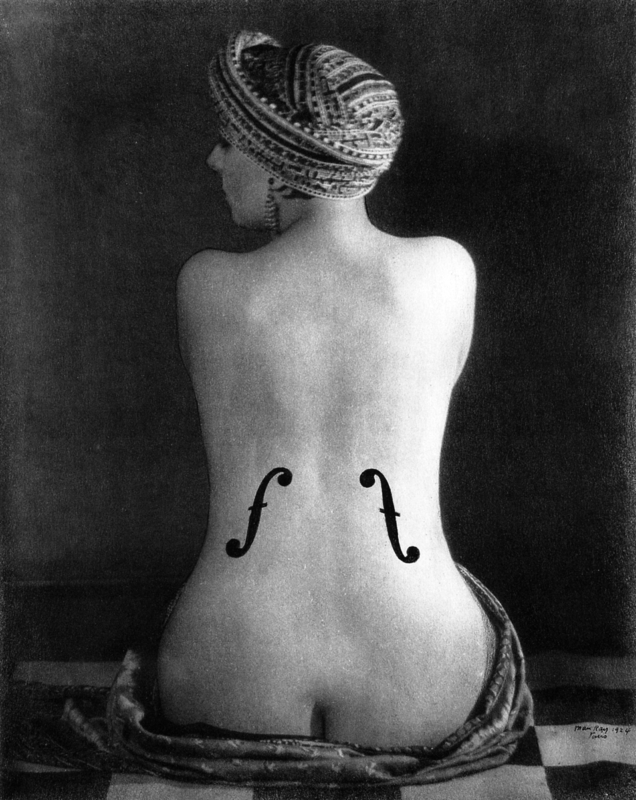 Probably the most important for him was Kiki, who is also known through the famous “Violin d’Ingres” (see Ill.) She is seen from the back and weares an orientalistic turban, that reminds on Ingres’ “Turkish Bath” of the Louvre. Characteristical are the f-holes that Man Ray applied later in post processing, a technique, that he used as well for other portraits. Kiki de Montparnasse’s real name was Alice Ernestine Prin. She was born into a very poor family and had never known her father, and was even set out by her mother. She had never loving parents, thus was “a primitive creature”, but very talented. As a young women she modelled for all the famous painters in Paris’ glory 20s. She had high aspirations, sang in the nightclubs and was called the “Queen of Montparnasse”, even if this role was just her surface. Her true life was that of a lover and muse of Man Ray. He always celebrated and loved women, but at the same time transfigured them to something else. In literature and research after her life Kiki became a symbol of this time and a legend. Kiki was sensuality and eroticism for Man Ray, even more than that: Sometimes an obscene object in his pictures, a fashion, where Louis Aragon was also part of and contributed his texts. Mixed up with the mythicism of Montparnasse, it was transgression: Kiki was also “a white ivory statue crafted by Pygmalion, a bacchante”… (further information in the exhibition catalogue of Guido Comis and Marco Franciolli for the Museo d’Arte, Lugano). The Surrealists admired Ingres. The most famous proponent is probably Picasso, who’s surrealist phase was strongly comprehended to his classicist phase. Cahiers d’ Art published Man Ray’s photographs in 1934 and Minotaure his text, with Picasso making a drawing of Man Ray. In the recent exhibitions of the Brancolini Grimaldi gallery in London the teachers of the famous university of graphics and book art in Leipzig where shown. 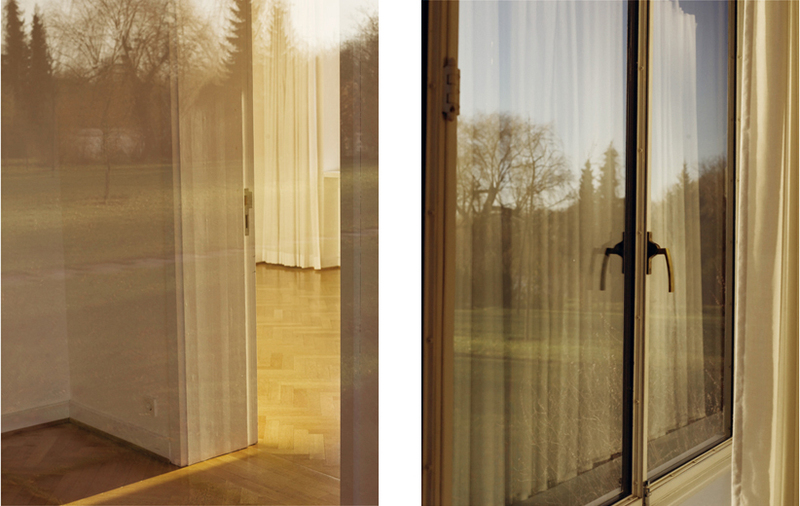 At the present, Joachim Brohm has a single show, while Heidi Specker has been on view before. It’s worth to throw a glance on their work, as the school is one of the most appraised universities in Europe for (documentary) photography. Both Martin Parr and Mark Power agree with that, as the author’s consultation has brought to light. Heidi Specker has published several books: “Im Garten”, “Bangkok”, about Mies van der Rohe’s “Haus Lemke” near Berlin, as well as about a villa by Peter Behrens. Her photographs are always about structures and their elements in a picture of suspense. She compares nature and architecture and lets them make a transition to each other. 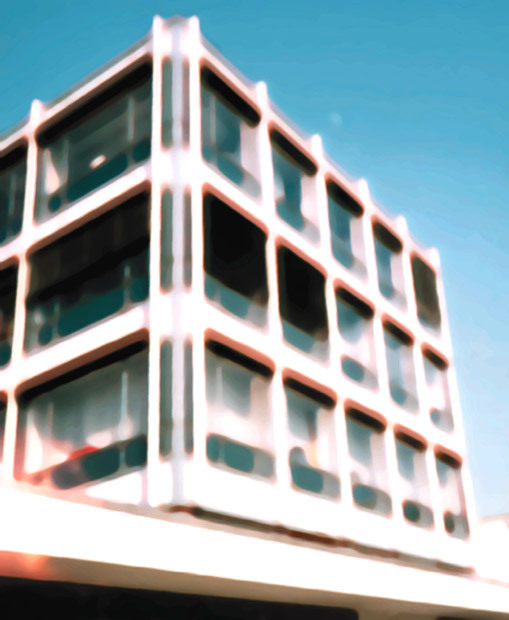 Specker got known for her photographs of surface structures on 60s and 70s architecture, which she transfered into abstract compositions and reworked on the computer. This was 1996, as she won the European Photography Prize, at a time, when digital photography was not very common and editing them on the computer very difficult. In these pictures the ambiente of techno clubs in the shape of Eastern Germany architectural remnants came to light. It was an electronic image because the world was getting more and more electronic, she said in the interview inside the book. In a book about Mies van der Rohe’s house Lemke, she follows her first project. Twelve years after it, the new technology (digital photography) is much more developed, which suites to a “nuanced building” like one of Mies van der Rohe. The opacness of light turns into the open inner sphere of the house, surrounded by the materiality of the bricks. Their earthy tones are contrasted by the non-colour of the windows. Ronald Berg writes in an essay, that like Mies van der Rohe, Heidi Specker was very meticulous. She worked for days, just to get the right proportions of forms and patterns. In the exhibition there’s also a series of architecture views shown. These are pictures with a floor clock and it is photographed from different positions. It just shows always the same time, namely twelve o’clock on the dot. In another series, she photographs stone walls like still lifes, and translates them into a raster. She varies them each time and uses light and shadow for the photographic effect. Since the photographs are purely black and white prints, the question remains, in what extent one can speak of an effect. Her pictures are always tectonically and geometrically very strong composed. Specker always workes with photographic techniques of exposure, lightning, blurring, sharpness, and framing. It would be good to see more of her outside Germany. The exhibition seems to be seperated into two parts: One part ist about Daido Moriyama and another about William Klein. It’s not really visible, that the two parts are connected. Therefore arises the question, why then it’s one single exhibiton? William Klein studied at the Sorbonne in Paris after he grew up in New York. He was taught originally in painting by the famous abstract painter Fernand Léger. Another famous person of that time was attentive to his film work and very captive of critizising it: American regisseur Orson Welles. Although Klein created work in a variety of disciplines, but, where he was most impressive and got known for, was photography. Paris, Tokyo, New York, Moscow, Rome. 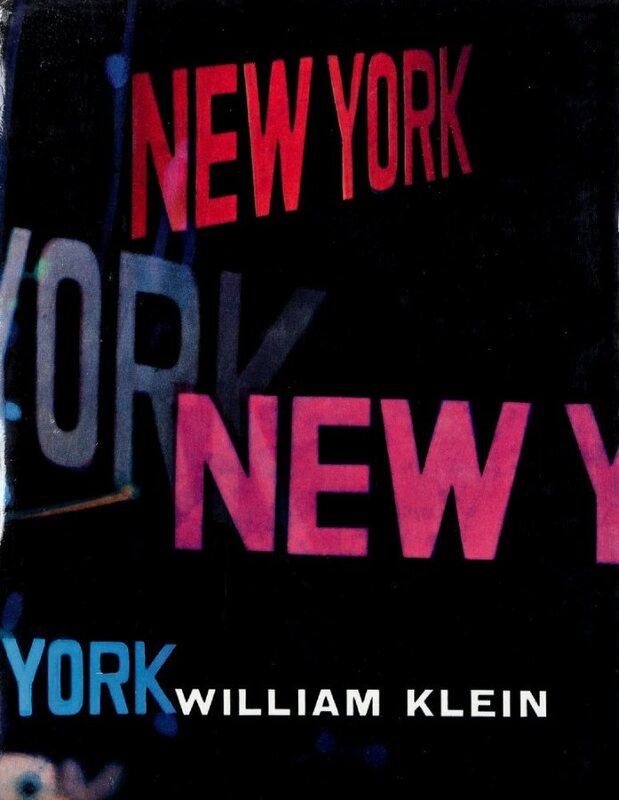 William Klein seemed to have been in every big and important city of his time. He roamed the street photographing continuously, opening up parallels to Magnum photography, mostly in compositional terms. These “snapshots” were documentary, momentary and not set up. His black and white frames with faces and sceneries were often cut in a cool sense. He did also several paintings with Fernand Léger as an important inspirer. In the exhibition are also quite abstract negatives and photograms included, and films about dances and gatherings in Chad, the Kameron and at the 1968 student protests. Another series is dedicated to Mondrian and his native country Holland. 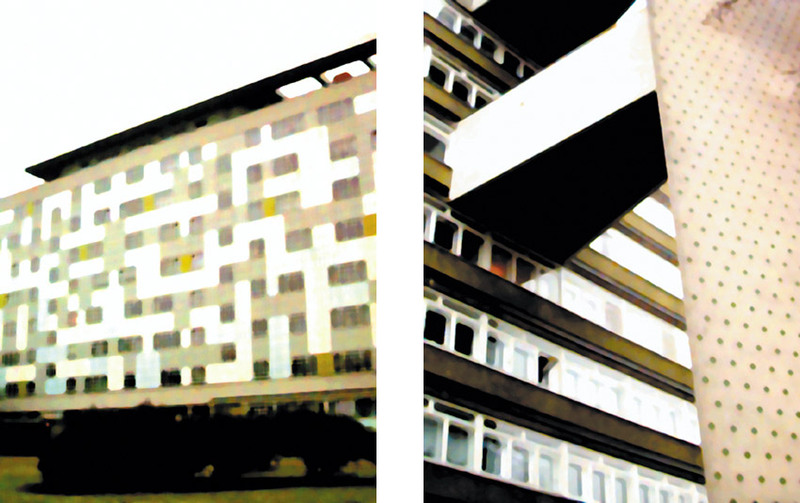 Léger said to Klein, he should concentrate on the relationship between art and architecture. A connection exists also to Chris Marker. He published William Klein’s book about New York: “Life is Good and Good for you in New York” (see http://www.americansuburbx.com/2011/02/william-klein-life-is-good-good-for-you.html). Tokyo and Rome were also more about patterns in street photography than fashion itself, for which is Klein mainly known for. In Tokyo 1961 he worked intensively with the light of the nights to gain contrasts of deep dark blacks as well as with the lights of shop logos and on the street. He also photographed bizarre performance-like street theaters, that are compared in the exhibition to a painting, which is archived through boxing on a wall. This wall is covered with canvas and the pictures show half naked men with freezed expressions. The street photographs of New York tell us of a different way of photographing. Klein is somehow commited to the people around him in the street not as today, as everyone rushes through the street seemingly without connection or communication to the other people, who surround him/her. He also shows a lot of movement through blurrings and creates still a pattern with these different compositional items. Moriyama had a fascination with Shinjuku, a district of Tokio. He continued to photograph it from the 60s until today. In the beginning Daido was associated with the magazine “Provoke” and had also a fascination with consumerism and its seriality, in admiration for Andy Warhol. The basic concept of the magazine “Provoke” was: “The world and reality are not only what they seem to be at first (a priori)”, because the human functions always the same way: It reduces the things it sees to its mere meaning. Around these issues the subjects of Daido were moving. Like Andy Warhol Daido photographed Campbell’s soup cans. He saw the same products of Warhol, also “Brillo”-boxes, just with a japanese label. Also car crashes fascinated him, resulting in Gelatin silver prints on paper. They are very high contrast and have an outcome like a silkscreen print. In general, the picture style of Daido is very different from western photography. 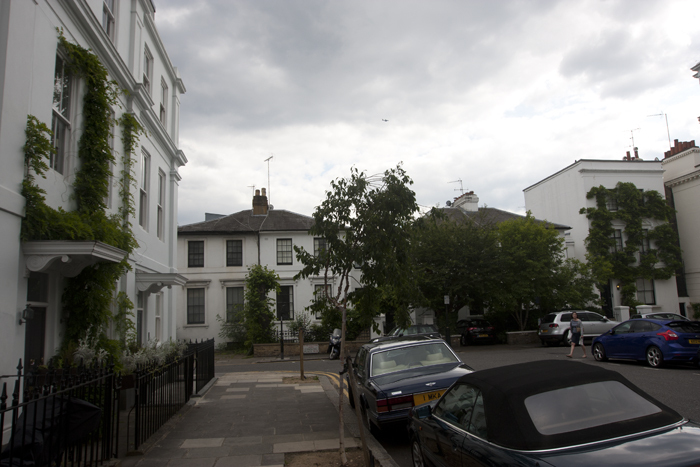 All photographs are build with a strong visual scheme or on an arrangement of visual elements. Some of the photographs also remind me of high standard photojournalism. Moriyama’s basic philosophy was about exploration of the limits of photography: “Perhaps the authority of the failed negative, with all its inherent possibility, could be restored”. Daido said in the showed film, that he doesn’t throw away failed negatives. “It’s also part of reality”. He also photographed still life objects and nature. 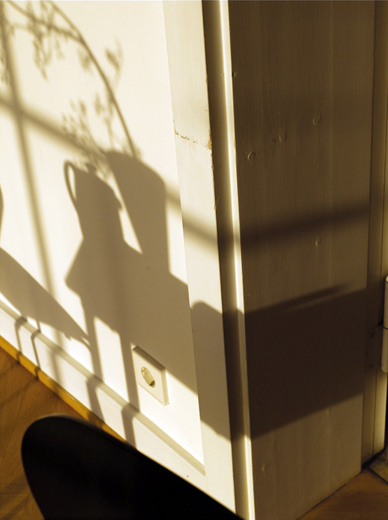 It’s as much about the objects as it is about the interplay between light and shadow, that gives these objects structure. More then, light imprignates those objects and makes something different, magical out of them. They make the actual photograph, and not the object itself. Daido shoots in the street with a compact camera. It’s the pure form of snapshot photography. Filippo Maggia compares Daido Moriyama’s working method with the protagonists of the literature of the Beat generation, like the theme of “roaming”, “wandering endlessly” through the streets, where “images and reality are the same thing”. Daido explains: “(…) recounting the streets and the people who animate them and bring them alive, in narrating reality. But the story is mine: it is not a news camera that is recording what is happening out there, but Daido telling you about the road he is following.” For him, photography is a means of recording what he experiences in the life, in “a particular moment”.